I received a good amount of positive feedback on my blog of December 11, 2016 entitled, “Our students are falling behind, but we expect a renaissance in new education solutions. InFocus Capital Partners can help.” I do have a rather unique perspective on education in the U.S., having actually served as a middle school math teacher at a few very different schools after a 30 year business career. I intend to write on this topic more in 2017, since I’m convinced that solutions outside the classroom are required (and many already exist) for American students to keep and surpass the educational pace of students around the world. A tremendous amount of time and effort has gone in and will go in to changing the classroom environment for the better, an d I believe such change is possible. But, I also believe such classroom change will be glacial in its pace and that pace is of little benefit to the current generation of students. For them, solutions outside the classroom are required. Teachers know this. But, that discussion is for another day. Today, in advance of the Holiday Season, I wanted to relay a simple story which demonstrates why teachers teach. I taught middle school math in a poor district of New Jersey and the school had all the inner city issues, it seemed to me, one reads about in the news – poverty, disruption, lack of resources, etc. But, as was my observation in inner city schools broadly, most of the kids wanted to learn, and despite their disadvantages, they were willing to put in the effort to do so. The inner city students are not shielded from reality; they knew kids in other districts had it easier. The inner city students have the same dreams all kids do; I sensed they believed education was their route to getting there; and, the students knew that they needed to supplement their classroom education in order to achieve their dreams. The students, the far majority anyway, get it. In May, I told my class that I would not be returning the following school year. 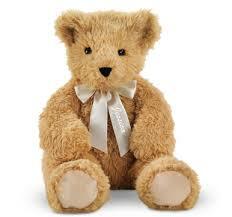 The next day, two of my students (I’ll call them Victory and Excellence – not their real names) each presented me with a Teddy Bear as a token of their appreciation. Not a Teddy Bear recently purchased at a store, but their own Teddy Bear. As a 30 year veteran of Wall Street, I looked forward to and appreciated my annual bonuses. But, it’s the Teddy Bears given to me by Victory and Excellence that sit on my bedroom dresser and motivate me to try to find ways to do good for our kids. That’s why teachers teach. For the sake of Victory and Excellence and all our kids, let’s develop ways to raise the educational bar. Novel solutions are likely to come from outside the current classroom system, and I hope InFocus Capital Partners can contribute and help. I intend to use my analytical skills and teaching genes for the benefit of my clients and readership. InFocus Capital Partners intends to be part of the solution. Wishing you great health, happiness, and prosperity in 2017.